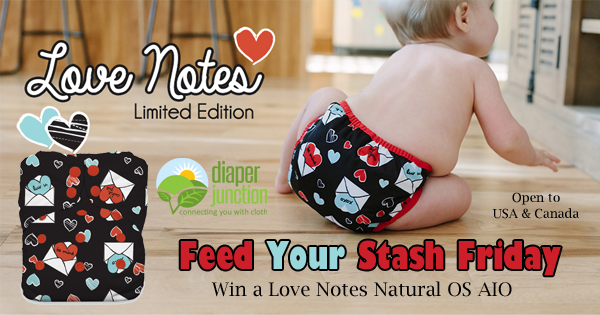 Win a FREE Limited Edition Valentine's Day Cloth Diaper! Feed Your Stash Friday Featuring Thirsties Love Notes! The Thirsties Natural Fiber All In One Diaper is designed to be easy to use and fit most babies from 8-40+ pounds. The diaper interior consists of three layers of organic cotton jersey and 2 semi-attached soaker pads each with 4 layers of a hemp/organic cotton blend--that is 11 layers of absorbency! The diaper features a snap-down rise with 3 settings, as well as your choice of a snap or hook & loop closure at the waist to allow for a perfect fit. So are you ready to enter to win? Grab your entries using the Rafflecopter below. One lucky winner will receive a Love Notes Thirsties Natural OS AIO! I absolutely love this print. Most valentine's diapers I have seen look very girly. This diaper could work for a boy too. What a cute cover!! 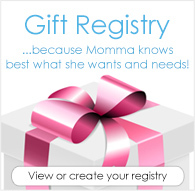 Perfect for a momma born 2/14/91! ?? I love the prints! It's my first time cding and I've heard great things about the Thirsties AIO. I look forward to trying them out! What a cute print! I love that it would work for a boy or girl! I have many Thirsties prints. That one will be a favorite. I haven't had the opportunity to try a Thirsties yet! I'd love to try this! I'm going to use cloth for my new baby.